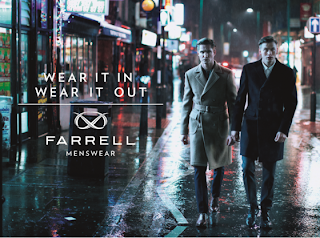 Farrell, Robbie Williams' menswear brand, named after his grandfather Jack Farrell, is opening a pop-up shop for six months in Earlham Street, Seven Dials. "This week sees the launch of a debut pop-up from British menswear label Farrell in Seven Dials. Devised by Robbie Williams with creative director Ben Dickens, the brand is built on the principles of British honesty, style and integrity, in honour of Robbie’s Grandfather Jack Farrell. Popping up at 18 Earlham Street exclusively for six months, this is the perfect location for Farrell with its unique village identity and charm. 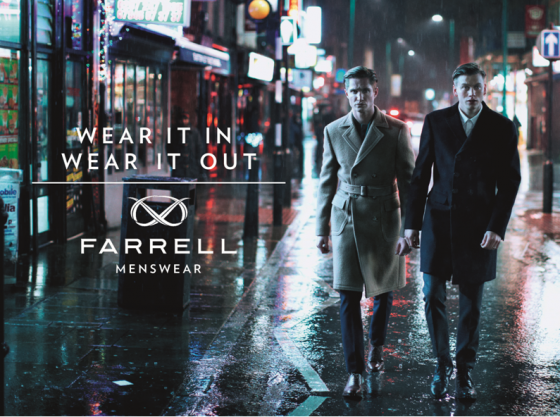 Farrell will showcase a range of iconic British styles – featuring the outerwear the brand is now synonymous for, together with sharp tailoring, crisp cotton shirts, knitwear and premium accessories."